In the beginning, our ancestors drew patterns in the sky, transforming stars into images of gods and creatures that were important to their cultures. It was not long before new additional patterns emerged so that eventually, the sky became a guide—offering temporal, navigational, agricultural, and ritual structure for events and activities on Earth. Although a certain astronomical order has been identified, observed, and rigorously studied, much of the cosmos still remains undisclosed. For all answered questions, many more have appeared, unresolved. For all of our calculations and hypotheses proven and explained, strange and wondrous phenomena are discovered, complicating our understanding and sometimes dismantling previously-held certainties. This is the field of thought from which works such as Study on a Rotating Black Hole (2015-2017), The End [Action #9] (2015), Study on Gravity (2015-2016), and Column on Varieties of Oblivion (2016-2017) radiate. This body of work seems to disclose a psychological landscape, inverting the artistic process and allowing access to the conceptual and scientific universe that generated The End Trilogy (2013-2017). The project extends the timeline of The End in both directions—from its theoretical origins to the genesis of a new stage. 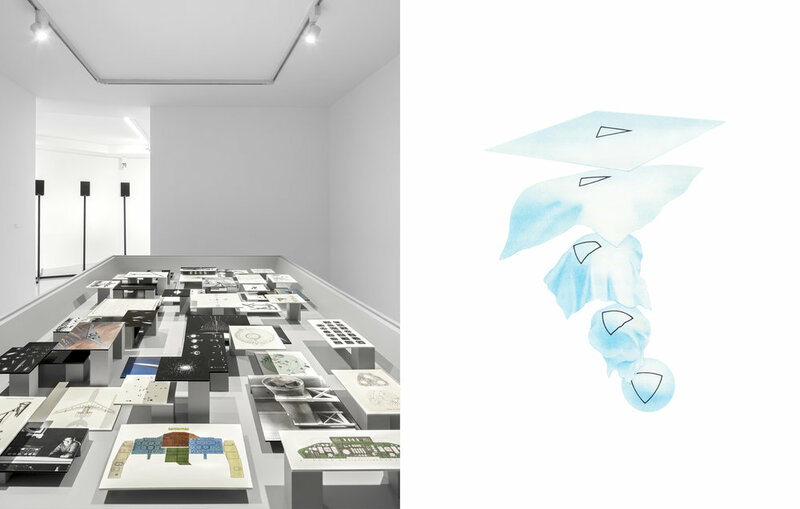 Exhibiting drawings, studies, and primary source material compiled through intensive research, a new dimension is thus exposed as an architectonic blueprint, a schematic portrait of alinear evolution. Epílogo (2015-2017) honors the pursuit of knowledge and perennial sense of wonder that has inspired ancient stargazers and contemporary scholars alike, but also exemplifies the limitations of our human condition facing the unknown. Column on Varieties of Oblivion is a monument to intellectual labor, a living column like the mythological Tower of Babel. Recorded in the Book of Genesis, the myth begins at a time when humans spoke one language, and attempted to build a tower connecting earth to heaven. God, angered by their pride, made it so that they could no longer understand each other. People separated and dispersed. The tower was never finished. Inspired by Rosmarie Waldrop’s eponymous poem from the volume Reluctant Gravities (New Directions, 1999), Column on Varieties of Oblivion by Andrea Galvani takes the shape of a stele—one of the oldest monumental forms used by early civilizations for funerary or religious purposes, or simply to mark designated areas of land. 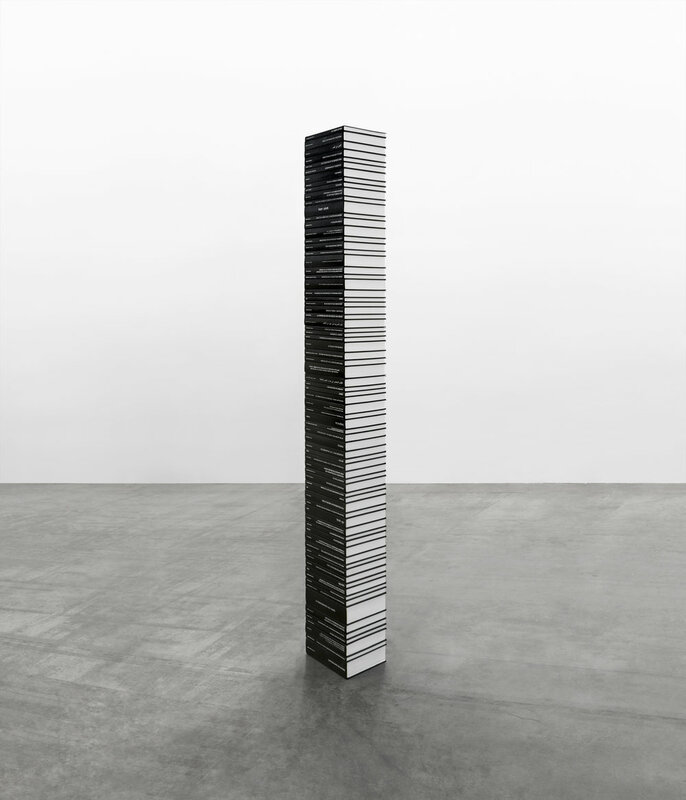 The installation is formed through a depository process—by gathering and stacking books that contain scientific theories which have either become obsolete, fallen into oblivion, or sedimented into later discoveries through additive progression. Each section presents a specific and unique lecture in the history of research.